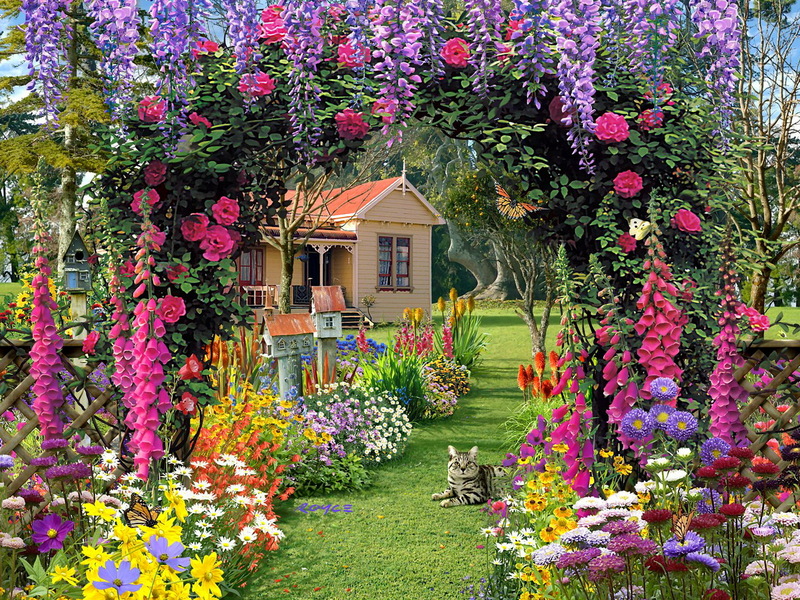 Lovely House. . HD Wallpaper and background images in the 白日梦 club tagged: daydreaming beauty dream house. This 白日梦 wallpaper contains 花坛, 花床, 床上的花, 日本枫树, 满月枫木, 羽扇槭, 满月枫树, 枫树, 宏碁日本, 开窗盒, 窗口盒, and 窗口框. There might also be 刺猬仙人掌, 中国紫藤, 紫藤羊草, 紫藤太白, 法国万寿菊, 孔雀草, and tagetes patula.